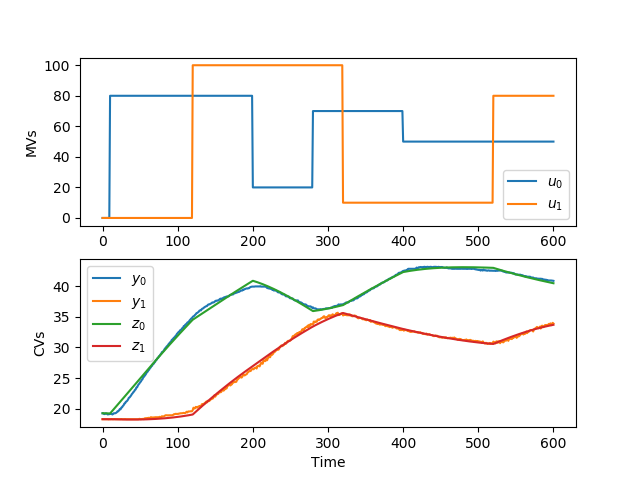 Model identification in these forms typically involves fitting unknown coefficients in the model followed by an analysis to determine how many parameters are statistically significant. 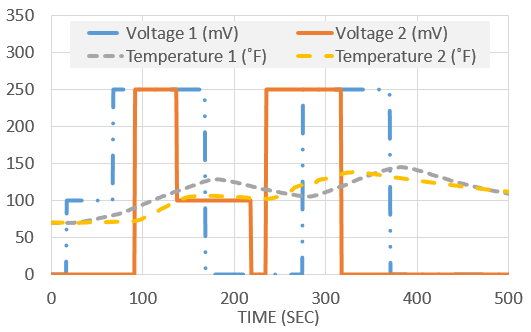 The following data set was generated in class from two voltage inputs (u) that changed the temperature (x) of two thermistors from the Arduino Lab. 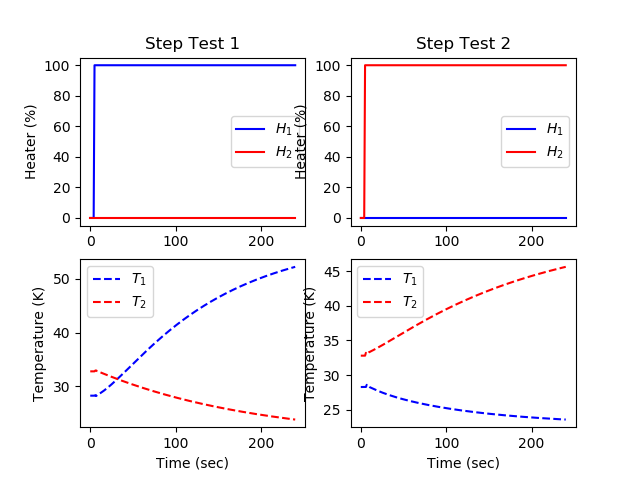 Determine a linear dynamic model that best describes the input to output relationship between voltage and temperature. 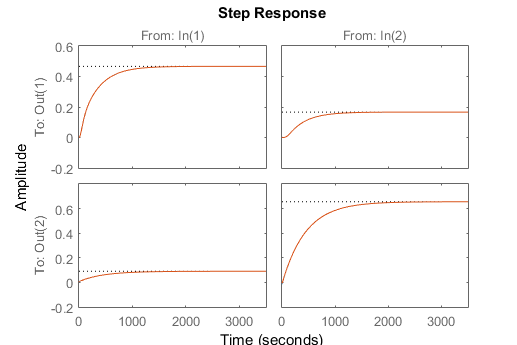 Compute the steady state gain for each input to output relationship. Data and example script files are posted above in Excel and MATLAB.